1. At the cross Christ took the keys of hell from Satan (Rev. 1:18) that He might deliver those in slavery to sin and Satan (Heb. 2:15). 2. 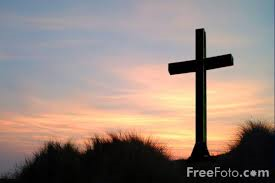 At the cross Christ paid the penalty for our sins and cancelled our sin debt—having nailed it to the cross (Col. 2:14). Therefore, by the cross we are justified—completely forgiven and made righteous (Rom. 5:11). 3. At the cross Christ disarmed Satan and his demons and rendered them powerless forever (Col. 2:15, Heb. 2:14-15). Thus, it follows also, in the words of Charles Spurgeon, “We conquer because the Serpent’s head is broken [in us].” Hence, at the cross, the power and dominion of sin is broken in us; and the guilt of sin is also broken. Therefore, as Romans six indicates, we are dead to the reign and rule of sin. 5. At the cross Christ removed judgment from all those who have believed and who would believe, and it was passed upon Satan and all those who are of the seed of Satan (Prov. 11:8, 21:18, John 3:36, 5:24, 12:31, Rom. 8:1). 6. By our identification with Christ we enter into all of the work of Christ on the cross. That is, we are crucified with Him; we suffer with Him; we are raised with Him; we reign with Him; we battle against sin and Satan with Him; and by our suffering and death and resurrection with Christ we help to render sin and Satan powerless. Now, since we are in Christ, we sit with Him next to the Father, and we reign in victory with Him. God has put all things under Christ’s feet and under our feet too. God gave the Son authority over angelic realms and over the realm of Satan. He has given us, in Christ, that authority too. 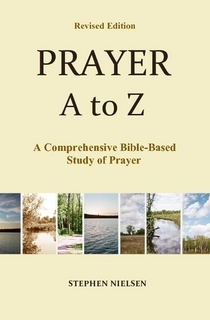 This entry was posted in Prayer A to Z Excerpts, Vigilance in Prayer, Prayer Warfare and tagged Charles Spurgeon, death, death and resurrection, Jesus Christ, Jesus Christ died for our sins, Jesus died on the Cross, salvation, Satan, sin. Bookmark the permalink.